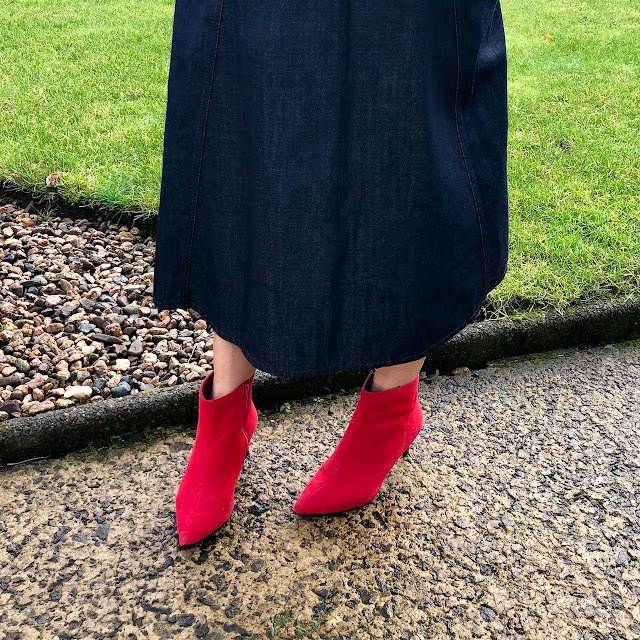 For this month's Marks & Spencer post, I went in store thinking I'd probably incorporate a bit of red or pink but the first thing I spotted was this indigo denim midi skirt from Autograph - with pockets!! I just loved the shape and the fabric and so my outfit ended up being built around it. It's just the most fantastic skirt that will work so hard for me. 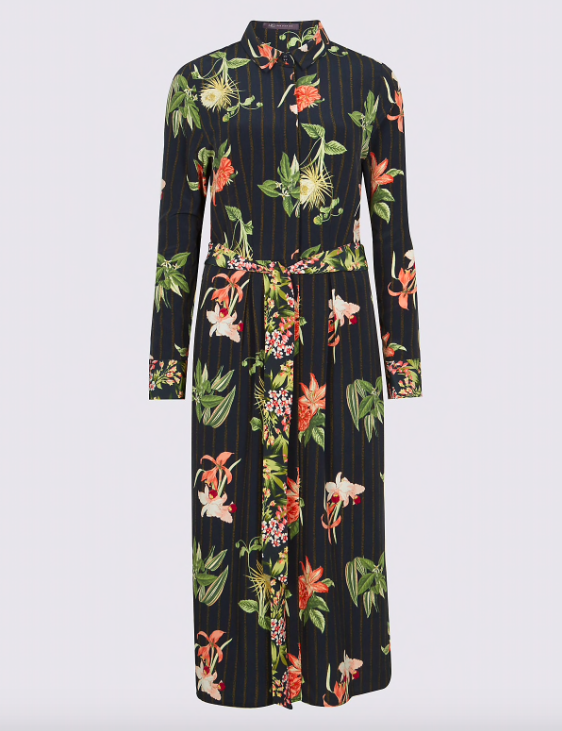 It's going to work now with a light knit, tights and boots but will equally be fab in the warmer weather with bare legs and a t-shirt. 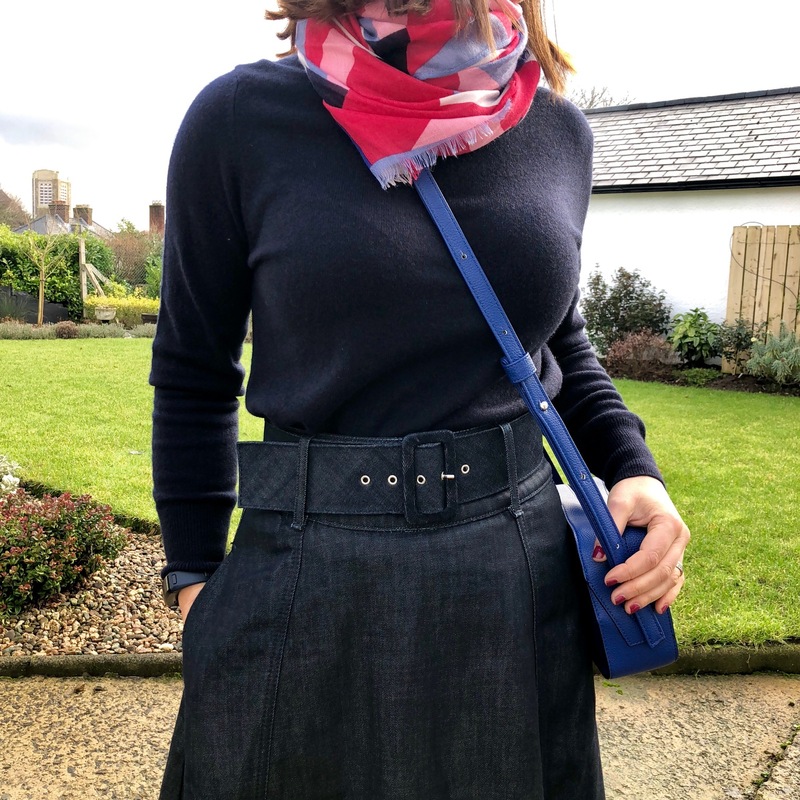 As it's raw denim, it's got a fab retro vibe going on and I know it's going to get better with wear. Size wise, it's true to size so I'm wearing the 10. 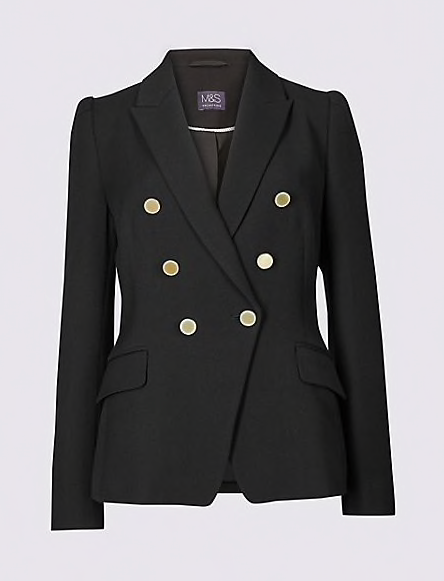 In fact, I noticed with lots of the new season M&S, things are much more true to size. Often, I'll get away with the odd size 8 in Marks - not with anything I tried this time from the new season. Everything seems smaller, which is good. I'm not a size 8 - it just confuses and frustrates customers when sizing is all over the place. Do let me know if you've found the same. In terms of fit, this is definitely one for the hourglass/pear shaped girl - perfect for anyone with a long torso and a bit of waist as it will define that waist beautifully. Realistically, it's not going to work as well on an apple figure and the feedback online backs this up. Because it's still so cold, I teamed the skirt with a navy cashmere crew neck. I was late to the cashmere party as I just felt it was too much to pay but now that I have a couple of them, I find I can't wear anything else. They are so cosy - it's like the difference between a down filled and polyester filled coat. The heat stays in like you wouldn't believe. So if you're into buying Valentine's presents for each other in your house, one of these (or a voucher towards one) would be top of my list. I'm wearing the size 10 and in this case, I'll say it comes up a little big but my John Lewis one shrunk a little on washing so I'm building this risk in. The bag next and I saw this cobalt camera bag online a little while back and just loved the colour and shape. 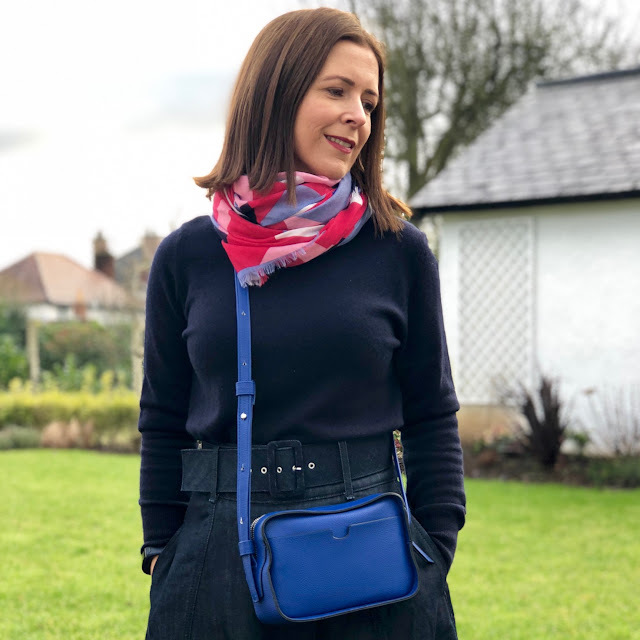 It's not leather but I'm ok with that in a coloured bag like this as I don't tend to use them as much as I would a black or navy bag. Finally, my nod to Valentines is the gorgeous scarf with shades of pink & red. It's a nice full scarf in a good weight for this time of year and the red colour gave me the idea to incorporate my M&S red boots that I picked up in the yellow ticket sale this week. Down from £65 to £6.89. 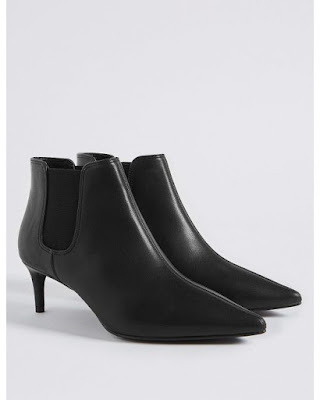 Yes, you read that right...leather boots for less than a tenner. 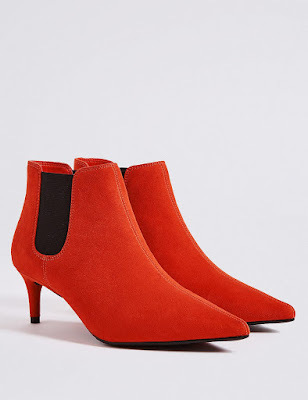 You might be lucky to snap up a similar bargain from the older stock if you have an M&S near you but if not, there's a fab red pair in the new season range. Size up in these new ones though as I tried on my usual 5.5 and they were too small. 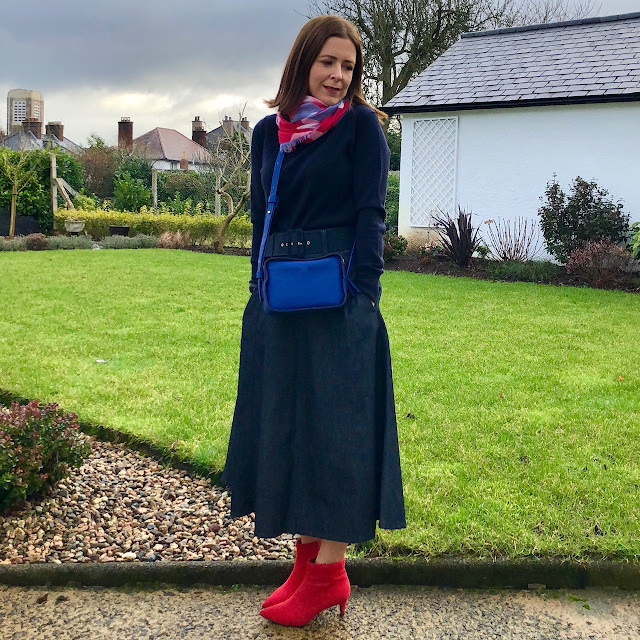 These red boots also come in black and I've seen a few rave reviews of them on Instagram as they're so comfortable. A great classic shape too. I also spotted a few other gems in store that almost made my final list. 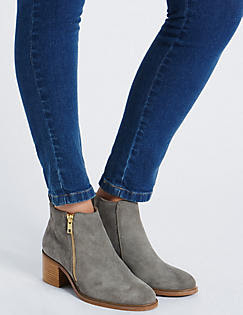 These grey boots are gorgeous on and so well priced. I was able to wear my usual 5.5 in these. 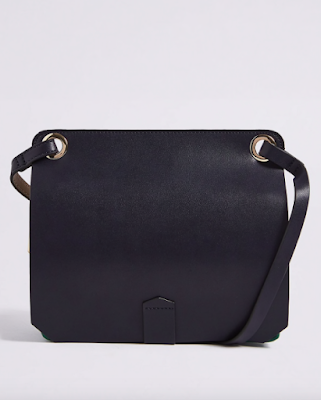 Another handbag that grabbed my attention was this navy cross body - with a pop of green in the middle! 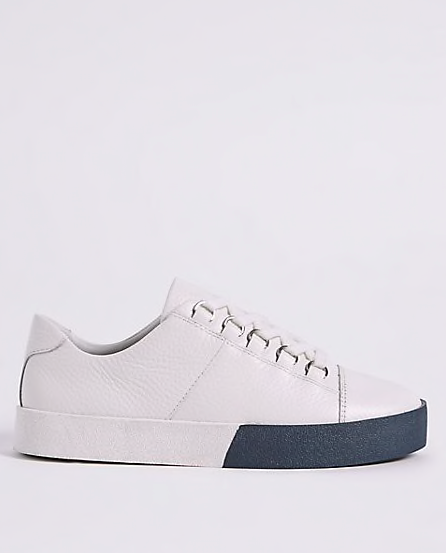 These trainers are selling out fast in the white colour way. I couldn't get my size in-store which was probably for the best. 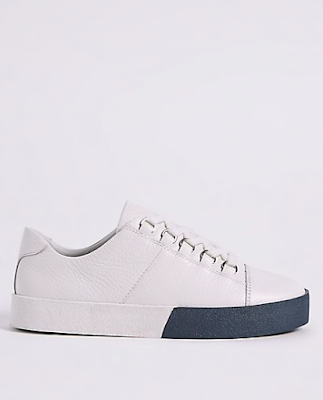 I definitely don't need more white trainers...but they're so gorgeous! 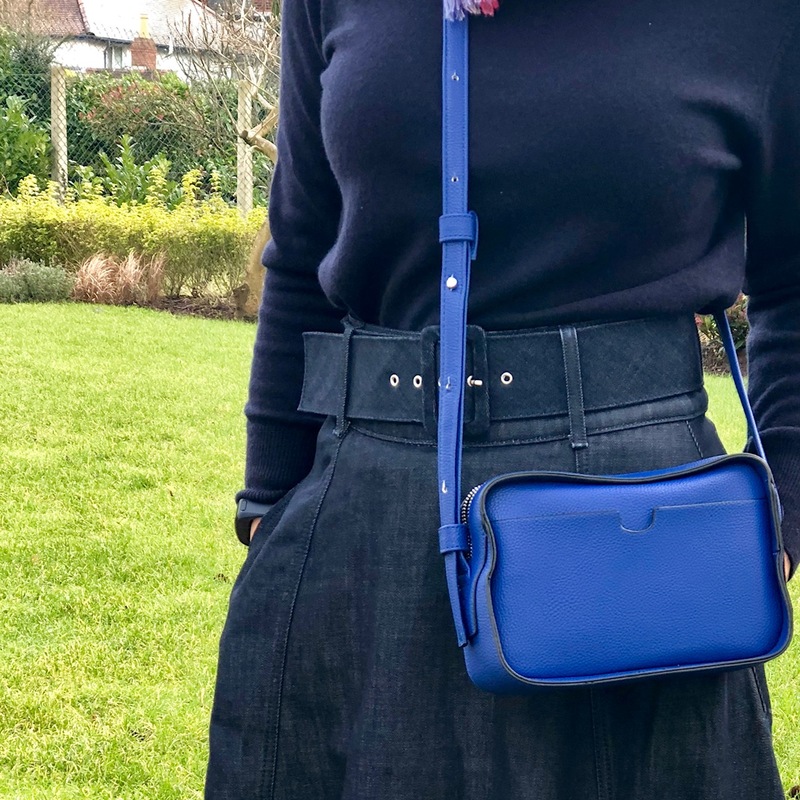 I hope you enjoyed my February picks from M&S. If this small selection is anything to go by, I'm really looking forward to what's to come in the next few months! 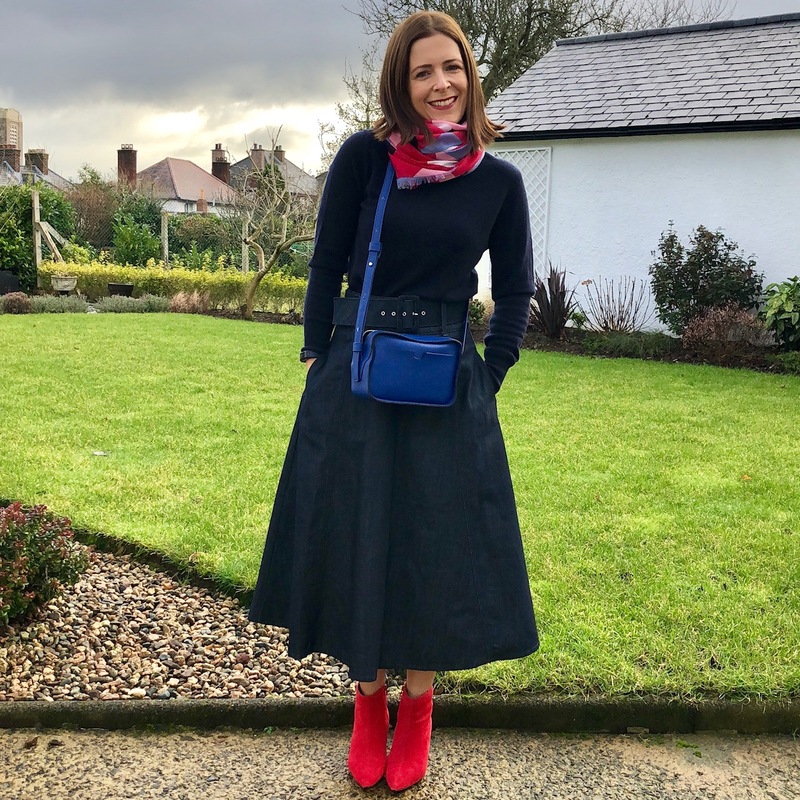 Disclaimer - my skirt, jumper, scarf and handbag were gifted to me by M&S. This is not a paid collaboration. All links are affiliate so that M&S can track them back to me. I may be paid a small commission if you buy and keep the items I feature. Thank you for supporting the brands that support this blog. Love the jacket but it is 90 euro in M&S Dublin. Just the excuse I needed to drive to Belfast for a little bit of shopping!